First, I went through that monstrous amount of lotions, hair products, and body mists. 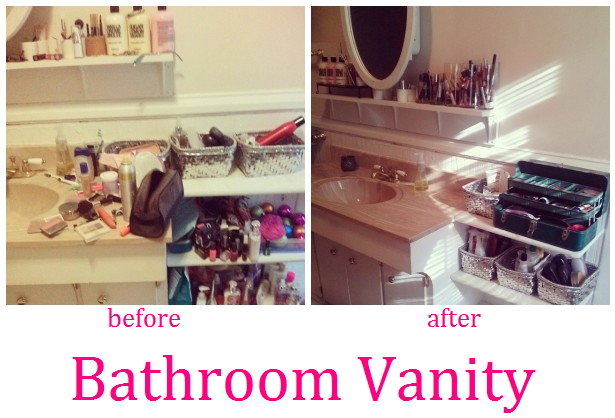 I had Victoria's Secret and Bath & Body products from like two generations of packaging ago. I had old nail polishes, near-empty body mist bottles, and hair products that have gotten so gunky I wouldn't dare put it on my hair. Embarrassing, I know. Just another result packing things away instead of throwing them away each time I've moved. I grabbed a garbage bag and cleaned those shelves out. I bought these silver metallic baskets at Bath & Body for $1 each years ago. I used the four of them to organize the things I didn't throw away. In one basket: face washes and makeup remover. In another: hair products. In another: lotions, nail polish, and nail polish remover. In the last basket: my many pairs of glasses, in their cases. 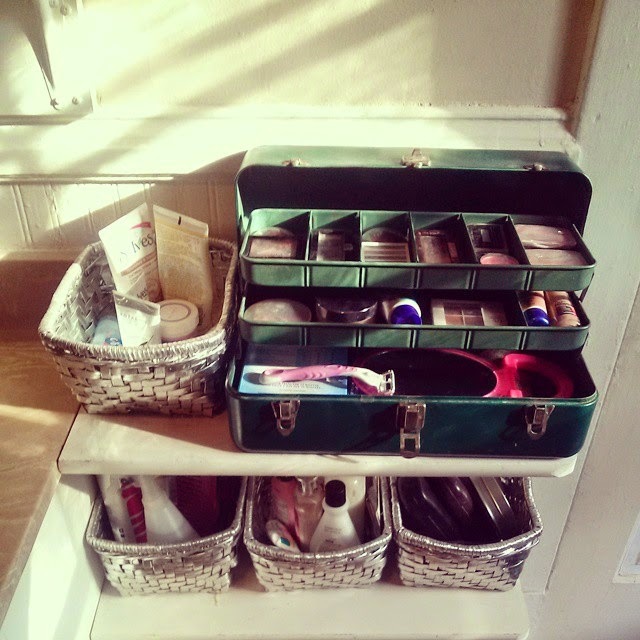 I also cleaned out my cosmetics and organized it all into my vintage toolbox. On one side of my mirror, I put the lotions I use on a daily basis: my Hempz Treats in lemon, strawberry, and vanilla. 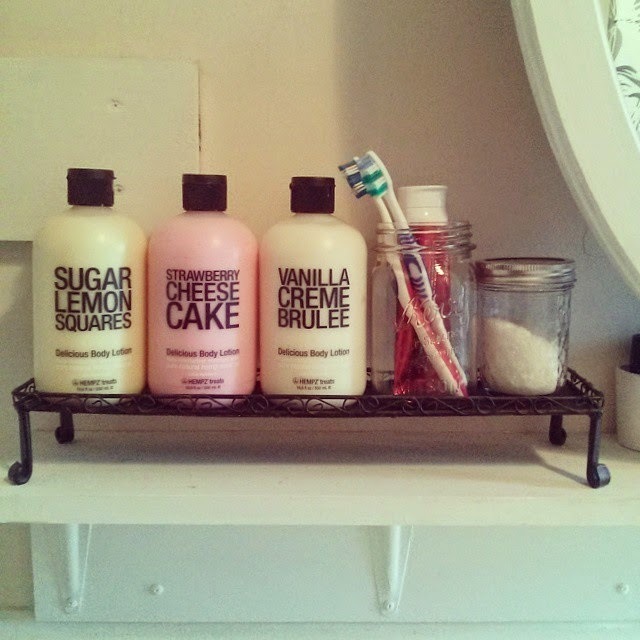 A large mason jar holds G's and my toothbrushes and toothpaste, while a smaller one contains my DIY lavender bath salt. 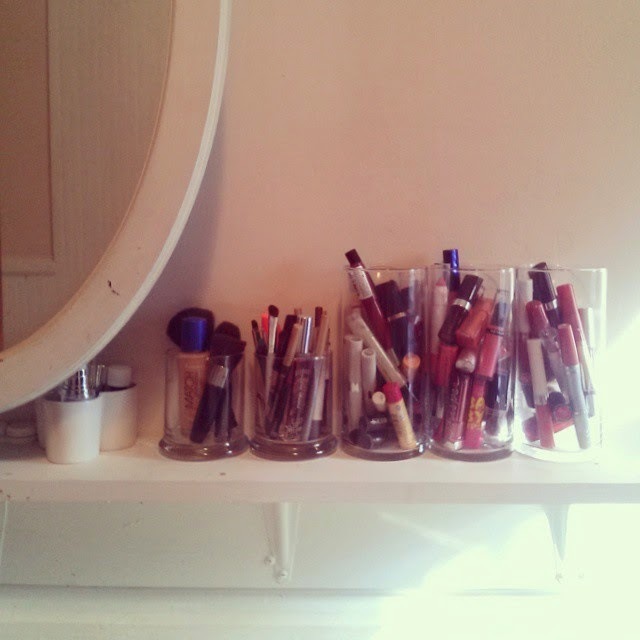 On the other side of the mirror, I organized my many, many lipsticks. I hit up the Dollar Store and spent $5 on two short candle holders and three tall. A few small white candle holders I already had on hand hold some other cosmetics and essential oils. So there. 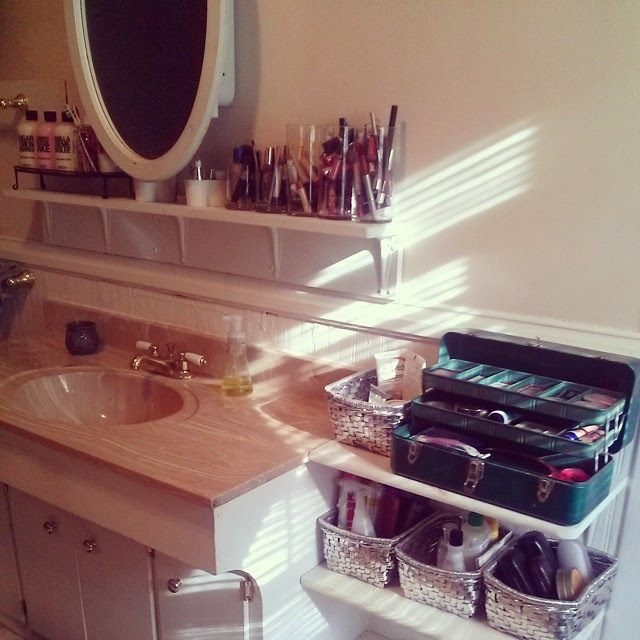 I tackled one part of my bathroom. 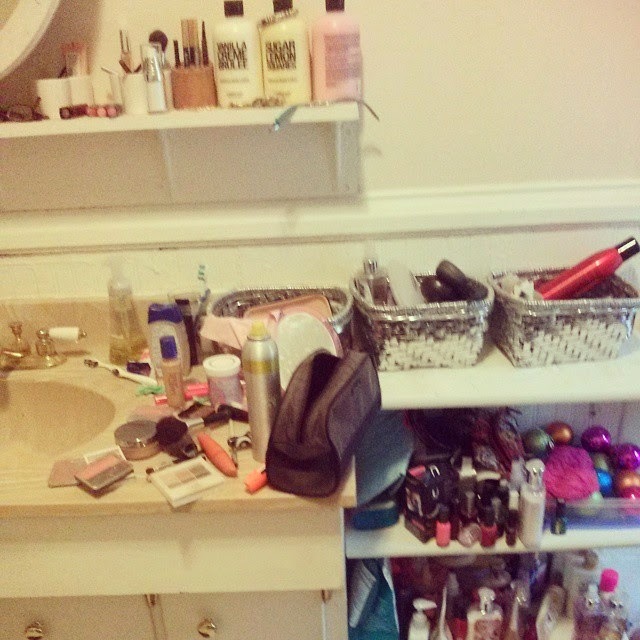 In the coming weeks, I'll be getting around to tackling the real beast: my bathroom's walking closet.